All pictures by Chaz Boston Baden, with Melina Levesque. Copyright Chaz Boston Baden. Click on a photo and use the comment/caption mechanism to send a message to ask about permission to use. Pictures recovered with help from Matthew Randolph and Kris Bauer. Thanks to Rebecca Barber for caption help on this page. Darrel L. Exline, Mrs. Kris Bauer-Exline, and cake. Darrel L. Exline, Mrs. Kris Bauer-Exline. Eylat Poliner, Devora L. Exline (Darrel's sister). 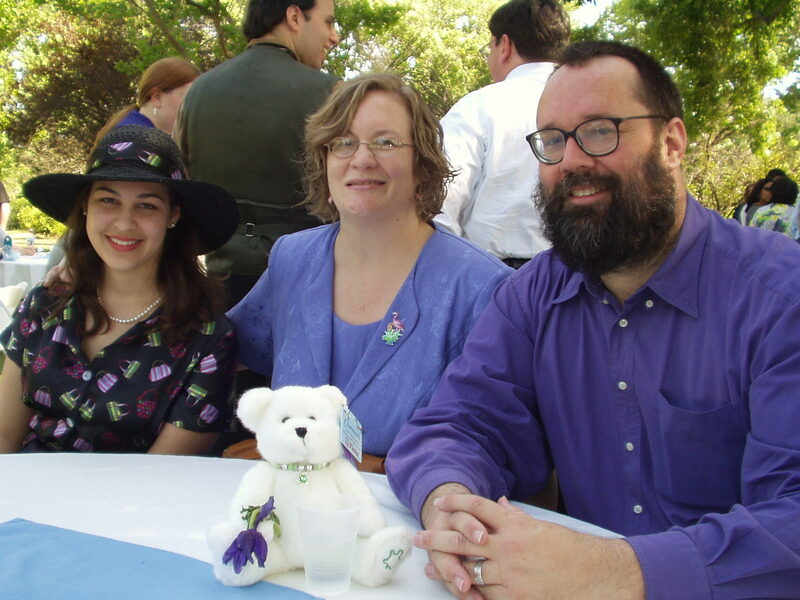 Darrel L. Exline, Mrs. Kris Bauer-Exline, and Nick Christiansen.